Staying true to tradition, Armin van Buuren once again caught the Ibiza feel, the island’s spirit and the magical experience of his A State of Trance – The Expedition night. Recorded live at the world-famous Club Privilege on Ibiza during Armin’s solo night on August 12th 2013, is the seventh Chapter of his beloved Universal Religion mix album series. Going strong since 2004, the annual series continues to bring nothing but highlights and exclusives. A summer’s memory, caught by the world’s number one DJ. 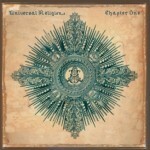 Recorded in one take, ‘Universal Religion Chapter 7’ invites you to be part of a special night. 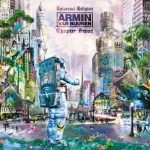 Through a 2 CD mix, Armin van Buuren makes you feel the energy of the crowd, enraptured by the Eivissa sound, as well as taking you on a musical journey with exclusive, custom-made tunes and remixes by some of the world’s most gifted producers. 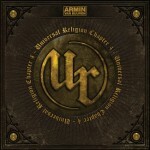 UR7 brings you the exclusive Armin van Buuren remix of Mark Knight vs Underworld as well as two brand new mash-ups. Also featured in this double mix, are tracks by Caesar, Orjan Nilsen, Omnia, Eximinds, Andrew Rayel, ECO, Photographer and many more. Including a breath-taking new artwork of Dutch artist Joseph Klibansky, Universal Religion Chapter 7 deserves a spot in everyone’s music collection. 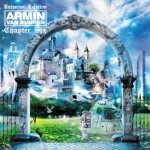 Armin van Buuren’s always living life in the fast lane. The Dutchman’s hot off the release of his fifth artist album, ‘Intense’, bringing worldwide hit ‘This Is What It Feels Like’ as the first single. 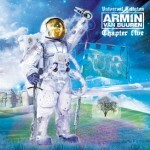 Its global success followed the celebration of the 600th episode of Armin’s radio show A State of Trance. With 12 events in 11 countries, spread across 10 weeks, 2013 was off to a great start. As the breeze of spring swayed into the summer’s sun, Armin returned to Privilege with his own residency night: A State of Trance – The Expedition. Attracting ten-thousands of visitors from all across the globe, its spell-binding show and star-studded line-up never failed to leave them breathless. 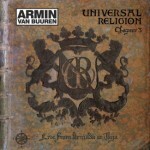 And neither does its musical souvenir: Universal Religion – Chapter 7.